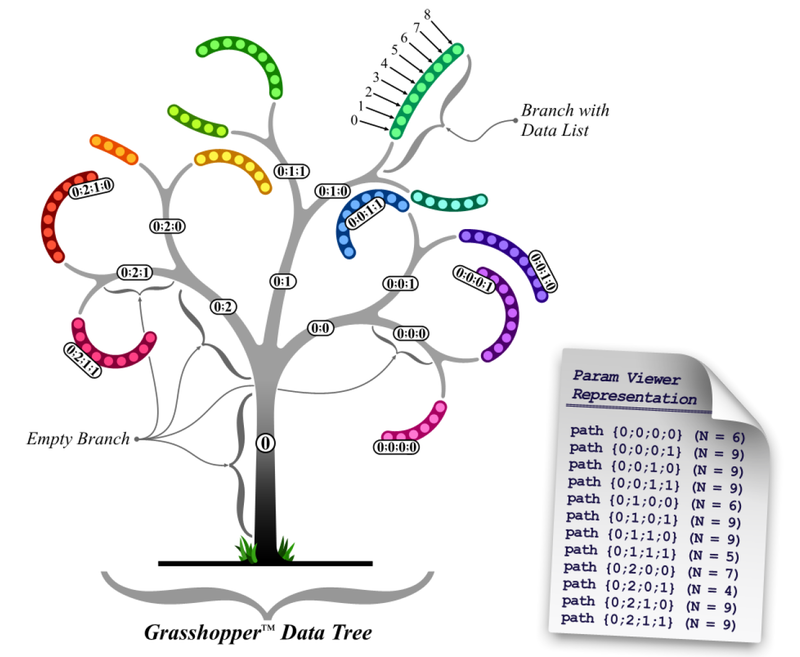 Complex data in Grasshopper, that is, data that is more structured than a singleton or a simple list, is stored in a "data tree". TUDelft web resource presenting data trees and how to manipulate them. A ModeLab introductory tutorial on Data Trees - skip to the last video for the heart of the discussion. A discussion by David Rutten on advanced tools for working with Data Trees. Topics include: Editing data tree structures, Custom mapping functions, Offsets within and between trees, Selection rules for items in data trees. Retrieved from " http://studiomaven.org/index.php?title=Tool:Part_999875 "